You’ve got a great idea. You need to sell your idea. Your fingers hit the keyboard. Your mind goes blank? Absolutely nothing! Your mind goes blank. You’ve got writer’s block. This happens to all of us at times. So how do we overcome it? The key is to have a strategy and approach that means you get your ideas down on paper! Writing Dynamics™ provides a complete, systematic approach to the writing process – usable when writing any form of business communication. The whole of Writing Dynamics™ approach helps you to overcome writer’s block – by simply implementing a structured process that ensures you keep writing. 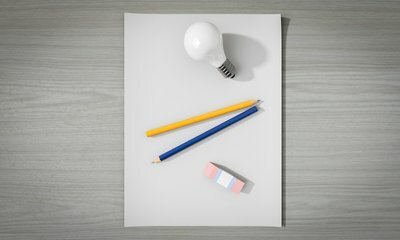 It also shows you how to increase the impact of the written word through selecting an appropriate writing strategy, managing the reader’s attention and using innovative techniques to highlight the benefits of the subject for your reader. Plan – to de-stress the process and save time. Draft – to build speed, focus and confidence. Edit – use The Editor’s Six Obsessions™ to get results. This entry was posted in Communication, Writing Dynamics and tagged Communication, Written Communication by Richard Evans. Bookmark the permalink.